In this article, I explain what the different data types are in Oracle database and everything you need to know about them. 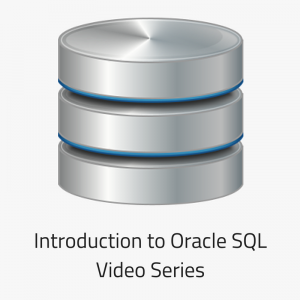 There are many data types in the Oracle database. There are character, number, date, and other data types. When you create a table, you need to specify a data type for each column. Each data type has a certain storage format, range of valid values, and constraints. 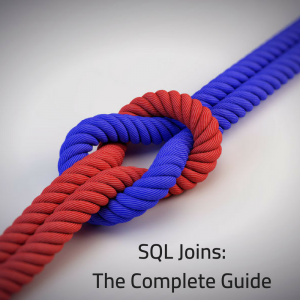 Knowing what they are, what they are good for, and their limitations will help you when you run your SQL queries. So, now let’s look at the data types that Oracle has. Character data types are those that store alphanumeric values, or strings. They store data based on the database’s character set. VARCHAR Deprecated and only used for backward compatibity. LONG Variable length character string. Larger than VARCHAR2. Deprecated 2 GB 2 GB 2 GB 2 GB 32,760 bytes. LONG RAW Raw binary data of variable length. Deprecated 2 GB 2 GB 2 GB 2 GB 32,760 bytes. Let’s look at these data types in more detail. The CHAR data type stores strings that have a fixed length. This means that the value takes up the same number of bytes, regardless of the value it holds. When you create a table with a column defined as CHAR, you need to specify a length. The length must be between 1 and 2000. This length is the number of characters to store in the field. The main thing to know about CHAR values is that if you insert or update a value that is less than this length, then the value is padded with blank characters up to the length of the column. For example, let’s say you have a column with a data type of CHAR(10). You insert the value of “Tree”, which is only 4 characters long. The field will contain the value of “Tree” but it will be padded with six space characters on the right hand side, turning it into a value of “Tree “. If you wanted to insert a value of “Large Oak Tree”, Oracle would return an error. This is because the value inserted is too large for the column (14 character value into a 10 character column). When to use CHAR: There should be no reason to use the CHAR data type, as it is similar to a VARCHAR2 and it’s better to be consistent. The VARCHAR2 data type stores alphanumeric values in variable-length strings. This means, unlike the CHAR data type, the length is variable. 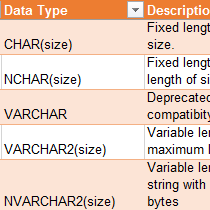 When you create a column with the VARCHAR2 data type, you specify a maximum length between 1 and 4000 bytes. Only the characters in the value you insert or update are stored. For example, if a column is defined as VARCHAR2(10), then it can store up to 10 characters. If I insert a value of “Tree”, which is 4 characters, then the value stored is “Tree”. No spaces are added, and the value does not need to be 10 characters. Using a VARCHAR2 column will often save space when compared to CHAR columns. VARCHAR2 is, in my experience, the most common of the character data types in Oracle. There are some uses for CHAR columns, but most of the time when I am working with strings, I use the VARCHAR2 column. Why is it called VARCHAR2 and not VARCHAR? Well, the VARCHAR is a standard data type, and isn’t used in Oracle SQL. When Oracle wanted to implement their own version of VARCHAR, rather than changing the implementation of VARCHAR, they created VARCHAR2. So, if you come from another database system such as SQL Server or MySQL, don’t use VARCHAR – use VARCHAR2. When to use VARCHAR2: If you’re storing text values that can vary in length (which is probably most of the time). The NCHAR data type is similar to the CHAR data type, except that it stores Unicode data. It allows multi-byte characters to be stored in a fixed-length field. With the NCHAR field, it can store up to 2000 bytes and must be shorter than 2000 characters. Both of these constraints are applied, as it’s possible for one character to be stored as multiple bytes. When you define an NCHAR data type, you specify the size in characters. When to use NCHAR: If you need to store text values of a fixed length, but you need Unicode data. The NVARCHAR2 is similar to the VARCHAR2 data type, in the same way that NCHAR is similar to CHAR. NVARCHAR2 stores Unicode data and allows multi-byte characters to be stored in a variable-length field. When you define an NVARCHAR2 data type, you specify the size in characters. When to use NVARCHAR2: If you need to store text data (like VARCHAR2), but you need to store Unicode characters. Columns that have a data type of LONG can store data of up to 2 gigabytes, and contain text data. However, it’s not recommended to create columns with the LONG data type. This is because LONG is one of the Oracle data types that is deprecated and only supported for backwards compatibility. If you want to store a large amount of data in a single field, it’s better to use LOB data types (such as CLOB or BLOB). These fields have more functionality that LONG columns. I’ve detailed the LOB data types further down in this article. When to use LONG: Never. It’s been deprecated, and you should use CLOB or BLOB instead. The RAW data type is similar to VARCHAR2 but is used when you don’t want the data to be converted between systems. It stores a variable-length string, like VARCHAR2. However, when performing import or export functions, the character conversion is not performed. When to use RAW: To store text values of variable length that are often converted between systems. The LONG RAW data type is similar to the LONG data type, except like the RAW data type, the characters are not converted when working between different systems. Also, like the LONG data type, Oracle recommends that you use the BLOB (or BFILE) data type instead of LONG RAW. LONG RAW is only supported for backward compatibility and BLOB and BFILE have more functionality and fewer restrictions. When to use LONG RAW: Never. It’s been deprecated, and you should use BLOB or BFILE instead. Oracle has several numeric data types. These data types are useful for storing number values, both whole numbers and decimal values. Let’s take a look at these data types in more detail. The NUMBER data type is used to store fixed and floating-point numbers. It has a large range of values, from -9.99.. (38 9’s) x 10^125 to 9.99.. (38 9’s) x 10^125. It can store positive numbers, and negative numbers, and can store up to 38 digits. When defining a number, you specify two things: a precision and a scale. Precision is the total number of digits in a number. Scale is the number of digits to the right of the decimal point. If the precision is not specified, then the column stores the numbers that are inserted as they are provided. If the scale is not specified, then the scale is 0. However, it’s recommended that you provide both numbers as an additional validation when inserting data. You can also specify a negative scale. This means that any values are rounded to this number of decimal places to the left of the decimal place. So, with all of these different ways you can specify a NUMBER field, how would a value look with each of these possibilities? Let’s take a look. What if we tried to insert the value 12,345,678.9012 into a NUMBER column? So, you can see that the same number value can be stored in many different ways, depending on how you define your column. When to use NUMBER: If you need to store an exact number (which may be most cases). There are two Oracle data types for storing floating-point numbers. One is BINARY_FLOAT, and the other is BINARY_DOUBLE which is detailed below. NUMBER uses decimal precision and BINARY_FLOAT uses binary precision. BINARY_FLOAT can perform arithmetic calculations faster and is usually smaller to store. NUMBER is an exact definition, where as BINARY_FLOAT is an approximate definition. The main difference between these two types is the third point – BINARY_FLOAT is approximate. This means the data type stores approximate representations of decimal values, rather than the exact value. It’s similar to a FLOAT data type in other languages. BINARY_FLOAT is a 32-bit single precision value. When to use BINARY_FLOAT: If performance is important, or if you need to store a large floating-point number. Just like the BINARY_FLOAT data type, the BINARY_DOUBLE stores approximate values rather than exact values, and is faster at calculations than NUMBER. However, because it doesn’t store exact values, it has a specialised need. It works like a DOUBLE in other languages. The difference between BINARY_FLOAT and BINARY_DOUBLE is that BINARY_DOUBLE is that the BINARY_DOUBLE is a 64-bit double precision value. 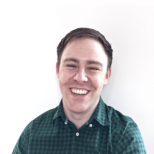 When to use BINARY_DOUBLE: If performance is important, or if you need to store a floating-point number larger than what BINARY_FLOAT can handle. BOOLEAN values are used to store true or false. They work in a similar way to many other programming languages. There isn’t a lot to say about these data types. They are simple. They store TRUE or FALSE. And they don’t take up a lot of room in a database. When to use BOOLEAN: If you need to store a TRUE/FALSE value or ON/OFF value. The PLS_INTEGER data type is only available to PL/SQL code. It works in a similar way to the NUMBER value in Oracle SQL. PLS_INTEGER is an integer data type, which means it can only store whole numbers. It’s signed, which means it can store positive and negative numbers. The range is from -2,147,483,647 to 2,147,483,647. If you’re using PL/SQL, you can use this data type. They perform better and require less storage than NUMBER data types. When to use PLS_INTEGER: If you’re using PL/SQL and you need to use integer values. The BINARY_INTEGER is a similar data type to the PLS_INTEGER. It has the same range (from -2,147,483,647 to 2,147,483,647), and can only take whole numbers. However, it’s older, and slower version of the PLS_INTEGER. So, for any programs in PL/SQL you want to write, you should use PLS_INTEGER instead of the BINARY_INTEGER data type. When to use BINARY_INTEGER: Never. You should use PLS_INTEGER instead. 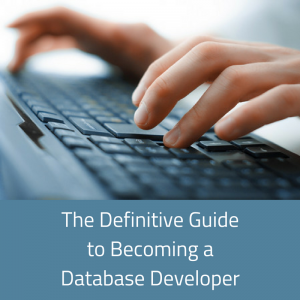 The INTEGER data type is an ANSI standard data type, which means it is in all SQL databases. However, in Oracle, it’s a synonym for NUMBER(38). This means that if you declare an INTEGER column, Oracle is actually declaring a NUMBER column with 38 digits and 0 decimal places. When to use INTEGER: You should use the NUMBER data type instead. This Oracle FLOAT data type is also an ANSI standard data type. FLOAT stores positive, negative, and zero floating point values. In Oracle, the FLOAT data type is a synonym for the NUMBER data type. It doesn’t have the rounding issues that the BINARY_FLOAT data type may have. When to use FLOAT: I would suggest using NUMBER rather than FLOAT just to be clearer. The DECIMAL data type in Oracle is an ANSI standard data type, but it is treated internally as a NUMBER data type. The main difference is that the scale is 0 by default for DECIMAL, which means it is then created as an INTEGER data type. So, if you declare a column as a DECIMAL with a scale, it is stored as NUMBER, but if there is no scale, it is stored as INTEGER. When to use DECIMAL: I would suggest using a NUMBER data type rather than DECIMAL. Date/time data types in Oracle are used to store date and time values. Some of them are simple, such as the DATE data type. Others involve time zones such as TIMESTAMP WITH TIME ZONE, and other store a period of time such as INTERVAL YEAR TO MONTH. The DATE data type stores a point in time and includes both the date and time component. So, even though the name of the data type is DATE, and there is no DATETIME data type, this data type stores dates and times. This default format comes from the parameter NLS_DATE_FORMAT. It can be changed during the user session with ALTER SESSION. Oracle stores all dates with a four digit year, and includes four digits when importing and exporting, so there should be no confusion when viewing data as to which century the date belongs to. You can retrieve the database server’s date using the SYSDATE function and the current session’s date using the CURRENT_DATE function. When to use DATE: If you want to store dates and times but fractional seconds and time zones are not important. The TIMESTAMP data type is very similar to the DATE data type, except that it allows you to store fractions of a second. The precision must be a number between 0 and 9. If no precision is specified, the default value is 6. This data type allows for more granular time storage than the DATE function. You can retrieve the database server’s timestamp using the SYSTIMESTAMP function and the current session’s date using the CURRENT_TIMESTAMP function. When to use TIMESTAMP: If you need sub-second times, such as for log files or tracking changes, and time zones are not important. The TIMESTAMP WITH TIME ZONE data type is similar to the TIMESTAMP data type in that it stores date and time down to the fractional second. However, it also stores the timezone value. This is stored as a numerical offset that represents the hours and minutes relative to GMT/UTC. This indicates that the value is -7 hours from GMT/UTC. To find the timezone of the database, you can use the DBTIMEZONE function. When to use TIMESTAMP WITH TIME ZONE: When time zones are important but don’t need to be tailored to each user. The TIMESTAMP WITH LOCAL TIME ZONE data type also stores a date, time, and timezone, similar to the TIMESTAMP WITH TIME ZONE data type. However, it is different because when you select a value from it, the data will be displayed in the user’s session time zone. The other data type (TIMESTAMP WITH TIME ZONE) displays the value in the database time zone. To find the timezone of your session, you can use the SESSIONTIMEZONE function. The interval data types in Oracle are used to store a period of time. This is different to the data types we’ve looked at so far which store a point in time. An example of a period of time is “3 years” or “5 months”. This is best represented as an INTERVAL data type. The data type you use depends on the value you want to store. If you want to store a value in years and months, use this INTERVAL YEAR TO MONTH data type. Values can be entered in as two digits, then a hyphen, then two digits. For example, ’02-07′ represents 2 years and 7 months. When to use INTERVAL YEAR TO MONTH: If you need to store a period of time, such as frequency for performance reviews. Just like the INTERVAL YEAR TO MONTH data type, the INTERVAL DAY TO SECOND is used to store a period of time. It’s different to the other date data types because it stores a period of time rather than a point in time. The INTERVAL DAY TO SECOND allows you to store days, hours, minutes and seconds. They are stored in this format: ‘D HH:MI:SS’. This means a value of 120 days, 6 hours, 31 minutes and 14 seconds is displayed as ‘120 6:31:14’. When to use INTERVAL DAY TO SECOND: When you need to store a period of time that involves days, minutes, hours or seconds, such as time delays. There are several data types in Oracle that relate to large objects, or more commonly referred to as LOBs. Let’s take a look at them in more detail. The BLOB data type is used to store unstructured binary large objects. This means it can store a lot of data in a single file, but it cannot store character data. It has a maximum size of 4 GB. The length is the number of characters or the size of the field. You can use K, M, or G to represent kilobytes, megabytes, or gigabytes. If no size is specified, the default value is 4 GB. When to use BLOB: It’s useful for storing images or audio files. The CLOB data type is used to store large amounts of character data. Unlike the BLOB data type, it can store characters, but it cannot store binary data. It also has a maximum size of 4 GB. When to use CLOB: Storing large amounts of text that cannot fit into a VARCHAR2 column. The NCLOB data type is just like the CLOB data type, except that it can store multi-byte characters. It also has a 4 GB maximum size and default size. When to use NCLOB: If you need to store text data, and need to store it in multi-byte characters. The BFILE data type is used to refer to other files on the server, which are outside of the database system. It stores a pointer to a file. They are read-only to Oracle. The maximum size is 4 GB. When to use BFILE: If you need to refer to files outside of the database server, and would prefer to keep the file intact rather than import it into a CLOB or BLOB column. There are two other data types that are used to identify rows in Oracle. The ROWID Oracle data type is used to store the address of every row in the database. It contains alphanumeric data, but is mostly used by the ROWID pseudocolumn. The ROWID pseudocolumn is used to display the unique ROWID value for each record. It’s not able to be updated or specified during an INSERT statement. If you create a new table and specify a column with the ROWID data type, you can add values to this new column that adhere to the constraints of the column (i.e. they are alphanumeric). However, Oracle doesn’t guarantee that it is a valid ROWID value (it refers to an actual row’s ROWID). When to use ROWID: When you want to store a ROWID value for later reference. The UROWID data type is used to store ROWID values that come from non-Oracle databases. Because it is unknown what kind of ROWID values and format that other databases use, this data type can be used to store those kind of values. When to use UROWID: When you need to store the ROWID-equivalent from a non-Oracle database. So, as you’ve seen, there are many Oracle data types. They can hold a wide range of values and each have their advantages and limitations. 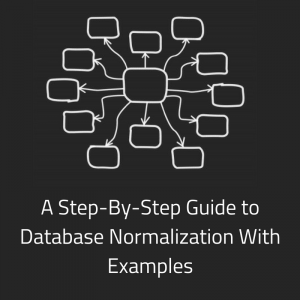 Choosing the correct data type for your tables and columns will improve the quality and performance of your database. Oh really so good and helpful. Will you please explain what is bind variables? Query 1 Select * from employee where deptno=10 and Query 2 select * from employee where deptno =:v_deptno .How Oracle internally execute this query and what is the difference in both query? Glad you like the article Sachin! A bind variable is a variable that you add into your query that allows you to specify the actual value when the query is run. 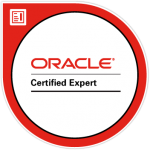 This allows Oracle to reuse execution plans for similar queries in the future. Every time that query is run, it uses the same execution plan, meaning less work for Oracle and faster performance. You can specify the values of 10 or 20 or other values when the query is run.